Just north of Indianapolis is a county jam-packed with interesting small towns and fun attractions for families. 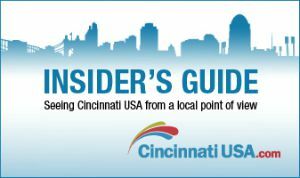 Hamilton County has so much going on. We spent just a few short days exploring the area and we only scratched the surface. 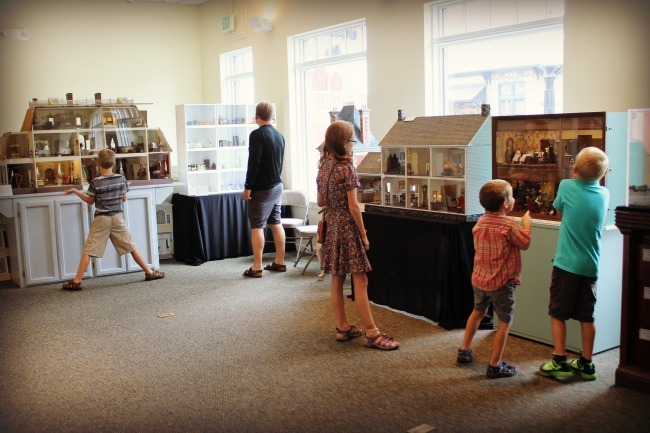 Carmel, Indiana is a quaint small town located in Hamilton County and it is home to the very unique Museum of Miniature Houses. 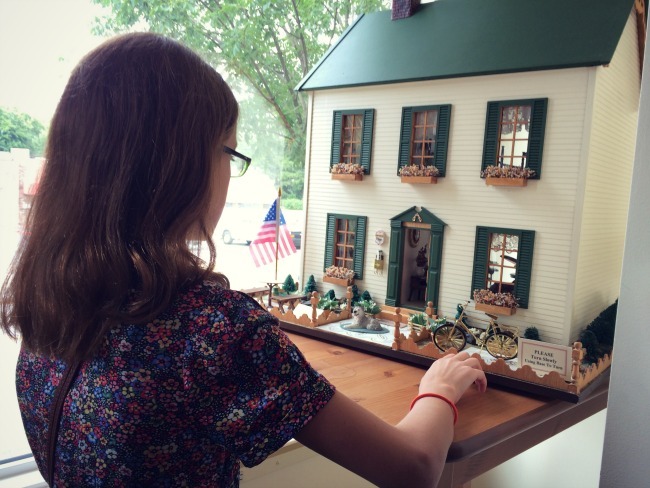 The Museum of Miniatures is a small building full of tiny treasures. 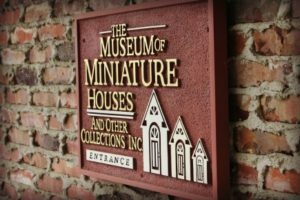 The highlight of the museum is the miniature houses of course, but they also have LEGO miniature collections, a collection of toys from Kinder Eggs, and more! They also have a little shop where you can purchase miniature items where Ella picked up a few things for her own doll house. 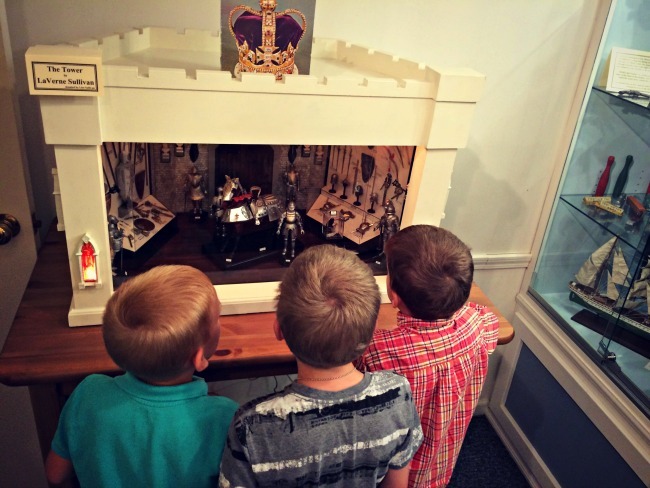 This museum is great for all ages, and children and adults alike can get up close and personal with these fascinating miniatures and doll houses. I was worried when we went that the boys would not be interested, or would be too energetic for a small quiet museum, but I was wrong. They were just as interested in the miniatures as Ella and I were! They especially loved “The Tower” which was home to knights and weapons. 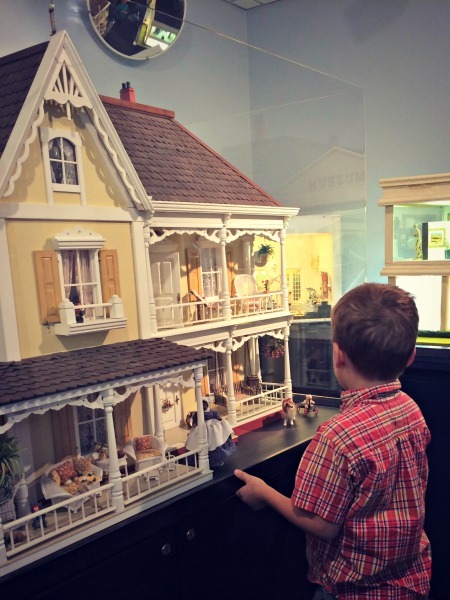 If you are ever near Carmel, Indiana make a stop at the Museum of Miniatures to see for yourself how interesting it is! 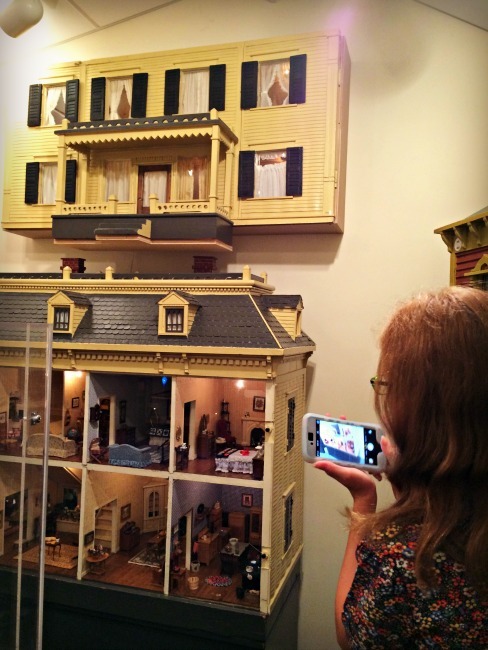 The Museum of Miniature Houses is located at 111 E Main Street in Carmel, Indiana.